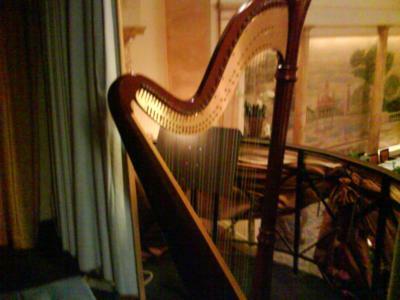 Harpists Online - Services We can provide a single harpist for your event, or the following combinations with the harp. African American harpist providing harp music in the Washington DC area. We can provide a single harpist for your event, or the following combinations with the harp. It was very pleasing. Wendy and her flutist played the kind of music requested and played it well. Our guests were impressed with the performance. Copyright 2012 HarpistsOnline. All rights reserved.